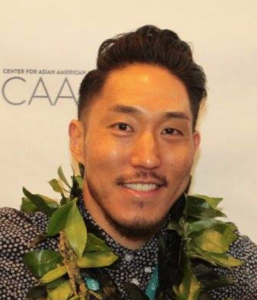 The Japanese American Cultural and Community Center (JACCC) and Visual Communications (VC) present the Los Angeles premiere of “Mele Murals,” a film by Tadashi Nakamura, on Friday, Aug. 5, at 8 p.m. at the Aratani Theatre, 244 S. San Pedro St. in Little Tokyo. “Mele Murals” (melemurals.com) is an hour-long documentary on the transformative power of modern graffiti art and ancient Hawaiian culture for a new generation of Native Hawaiians. 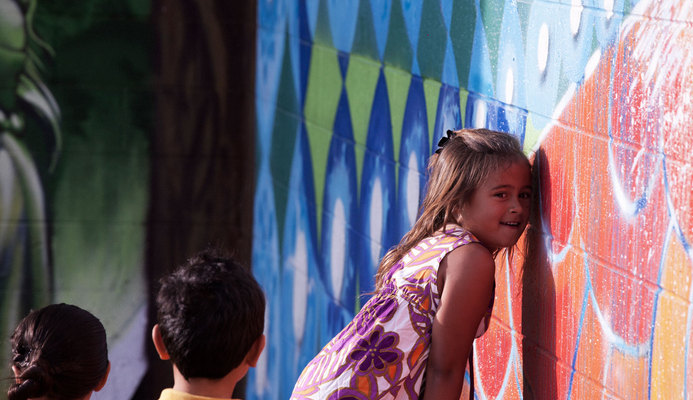 At the center of the story are two renowned street artists, Estria Miyashiro (aka Estria) and John Hina (aka Prime), a group of Native Hawaiian youth, and the rural community of Waimea. Set against the resurgence of Hawaiian language and culture of the past 20 years, Estria and Prime tell how their street art has taken them on personal journeys to discover their history, identity and responsibilities as Hawaiian people. Estria, who left Hawaii to study art in San Francisco, made a name for himself as an internationally known graffiti artist before returning to reconnect with his Hawaiian roots. Prime, who grew up in the projects and became one of the first kings of the Honolulu graffiti scene, left a life of hustling and drugs after the birth of his first child and returned to the art when he realized it was a way to help youth. “This was my first time working with the Native Hawaiian community and I continue to be blown away by the strength and beauty of the people, their traditions, and their land. At the core of ‘Mele Murals’ is the resurgence of Hawaiian culture and language that is being led by a new generation of Native Hawaiian artists, educators, and youth,” said Nakamura. Nakamura was named one of CNN’s Young People Who Rock for being the youngest filmmaker at the 2008 Sundance Film Festival. His last film, “Jake Shimabukuro: Life on Four Strings” (NEA funded), was broadcast nationally on PBS in 2013 and went on to win the 2013 Gotham Independent Film Audience Award. The event schedule will be as follows: 6:30 p.m. — intimate concert in James Irvine Japanese Garden with popular Hawaiian artist Paula Fuga (VIP ticket holders only); 8 p.m. — film screening; 9:30 p.m. — Q&A with filmmakers and featured street artists Estria and Prime. Praised for her originality in song composition and ability to stir the deepest emotions with spellbinding and soulful vocals, Fuga has established herself as one of Hawaii’s most respected live performers. Tickets are available at: https://web.ovationtix.com/trs/pe.c/10099520. For general admission ($20), attendees will see the screening, a shortened performance by Fuga and Q&A with the film’s cast and crew. For groups of 10 or more, tickets are $15 each person. VIP tickets ($40) include the concert in the garden and reserved theater seating.